Whether you are planning to deploy an EMR/EHR or are in the middle of a difficult rollout. Or watching an EMR or EHR drain your productivity, CBAY Transcription Services, Inc. will save you time, grief, and money. 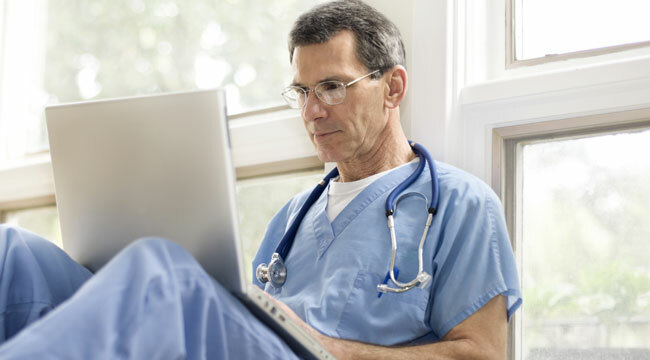 CBAY Transcription Services, Inc. provides an integration platform to help specialty and multi-specialty groups with a full adoption of an EMR or EHR system, while both protecting physician productivity and providing the organization with the many benefits expected from an investment in technology. This can be particularly helpful for multi-site groups with complex deployments, and CBAY Transcription Services, Inc. can integrate with all major EHR vendors. 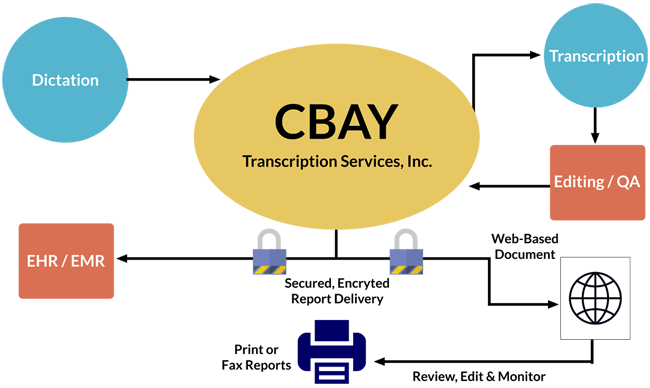 At CBAY Transcription Services, Inc. we’ve been delivering timely, precise, reliable and cost-effective dictation and transcription solutions for over a quarter century. Our transcriptionists have one goal in mind: providing medical transcription services that exceed your highest expectations. You’ll come to think of us not only as a transcription service, but also a valued extension of your team. Whether you’re around the corner or across the continent, we are always standing by to assist you. Our commitment to delivering superior quality makes us the leading transcription company. In addition to hiring the most qualified transcriptionists, we adhere to a three- level quality assurance review process to ensure accuracy. In the unlikely event an error is made in a transcript, we’ll correct it for free. We also value client privacy, which is why our transcription service features 256-bit encryption to comply with the HIPAA/HITECH security requirements. Our goal is not to be the biggest transcription company, but the one that offers the highest level of quality and client satisfaction. CBAY Transcription Services, Inc. is the leading transcription company for all of North America that makes the file creation process fast and easy. Choose the dictation method that best suits your needs, including telephone, digital recorder or another option. If you’re a smartphone user, we also have free apps for your iPhone or Android device. Our multiple delivery options include our software suite in addition to FTP, remote printing, fax and EMR or EHR delivery. Next-day turnaround and same day turnaround is available.